1 Roll = 2.25 oz equivalent grain servings. 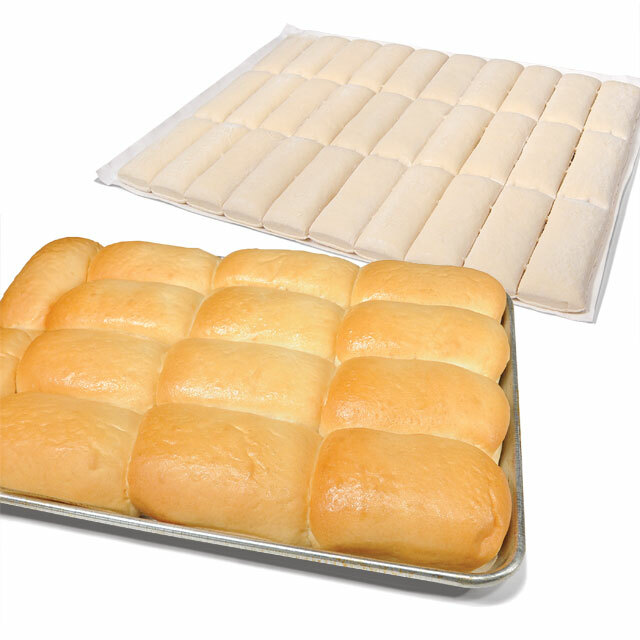 Bridgford Sweet Yeast Steakhouse Roll Dough provides an opportunity for the operator to bake their own fresh rolls. Each roll is perfectly formed, ready for proofing and baking. Place frozen roll dough on a greased sheet pan 1/2 to 1 inch apart. Brush dough with melted butter. Let dough thaw and rise in warm area until double in size. Bake in a preheated 325 degree convection oven for 9 to 11 minutes or until golden brown (conventional oven: 375 degrees for 12 to 14 minutes or until golden brown). Remove from oven and pan to cool on wire rack. ENRICHED UNBLEACHED FLOUR (WHEAT FLOUR, MALTED BARLEY FLOUR, NIACIN, IRON, THIAMINE MONONITRATE, RIBOFLAVIN, FOLIC ACID), WATER, SUGAR, SHORTENING (INTERESTERIFIED SOYBEAN, WITH DISTILLED MONO GLYCERIDES ADDED), YEAST, EGGS, CONTAINS LESS THAN 2% OF ASCORBIC ACID (VITAMIN C), MONOCALCIUM PHOSPHATE, SOY FLOUR, ENZYME, POTASSIUM IODATE, COLOR (YELLOW #5, YELLOW #6), SALT. Questions? Contact Bridgford Customer Service! Give us a call toll-free at 800-527-2105, or click the link below to contact our Customer Service Department. Thank you! Insist on the brand that has served America's foodservice estalishments since 1932! 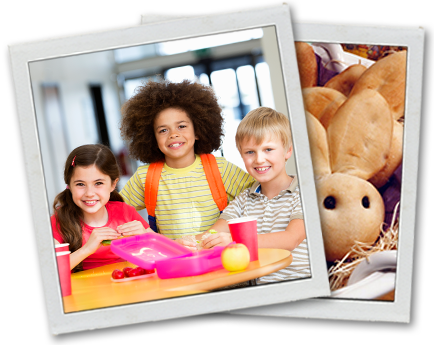 Bridgford School Foodservice fulfills US school breakfast and lunch requirements.